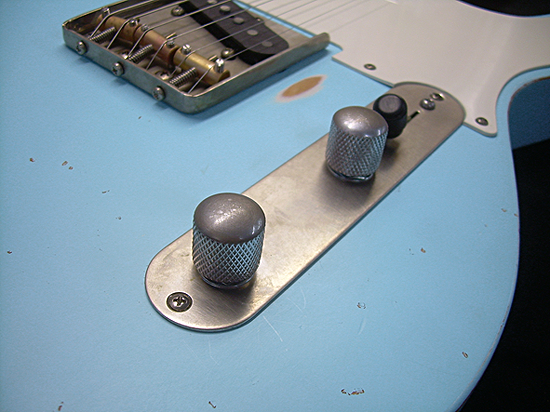 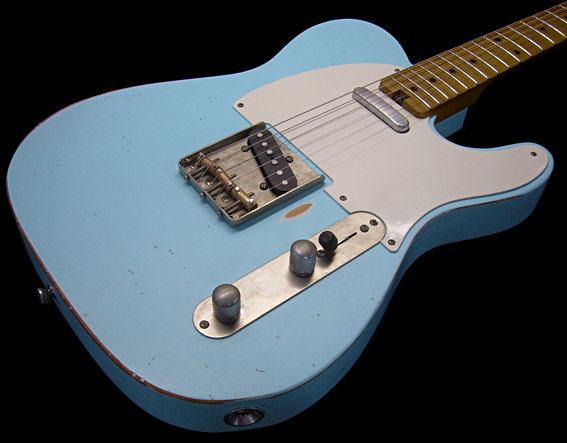 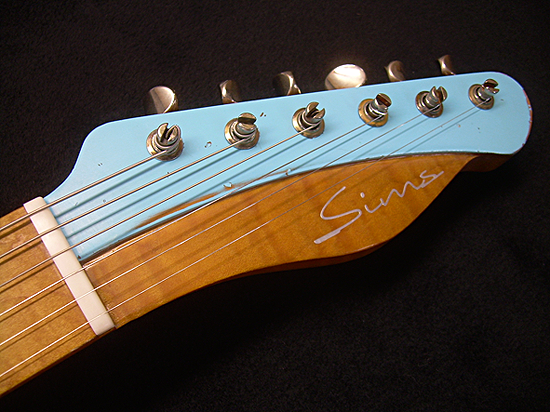 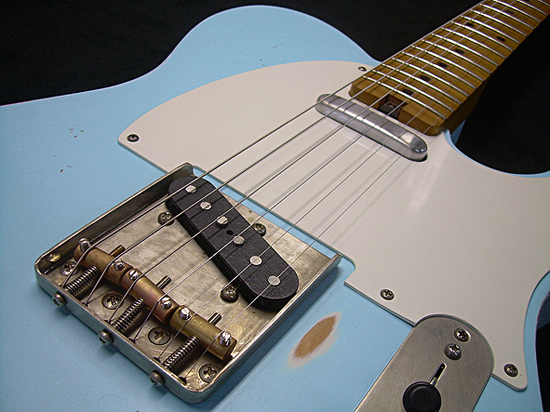 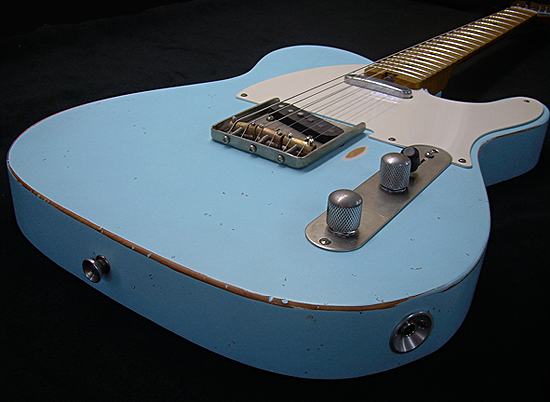 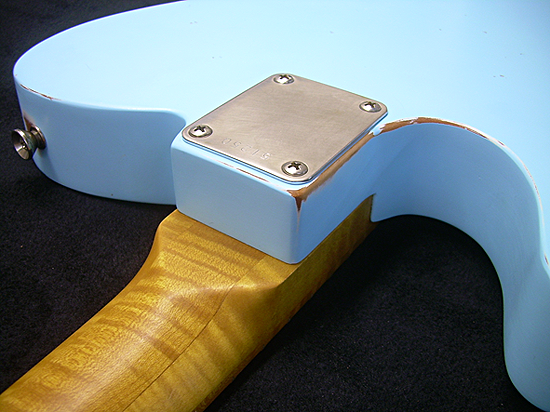 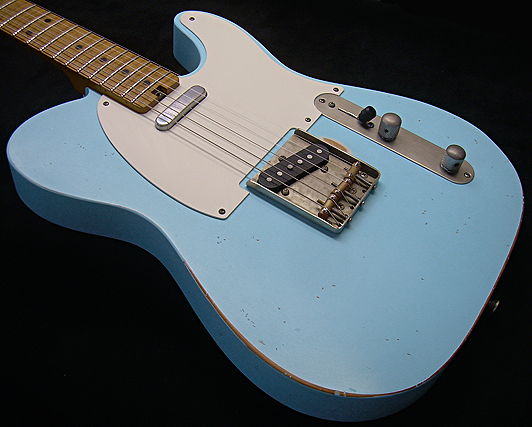 Specs: 1 Piece Alder Body routed to ’52 specs – Relic’d Baby Blue Paint- 5A Flame Maple Neck – C Shaped Maple Neck – 12 Degree Radius’d Fingerboard – Vintage Kluson Tuners – PLEK’D Fretwork – All hardware aged by Sims Custom Shop – Compensated Brass Saddle Bridge – Seymour Duncan Pickups. 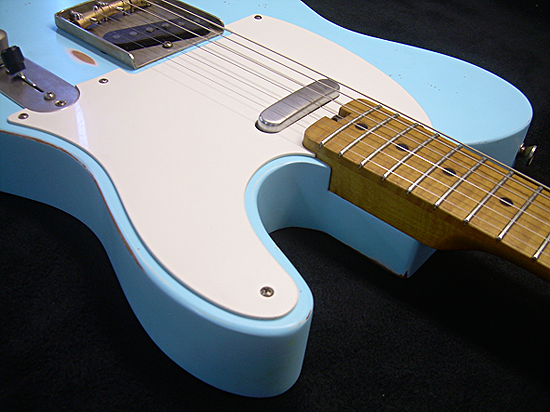 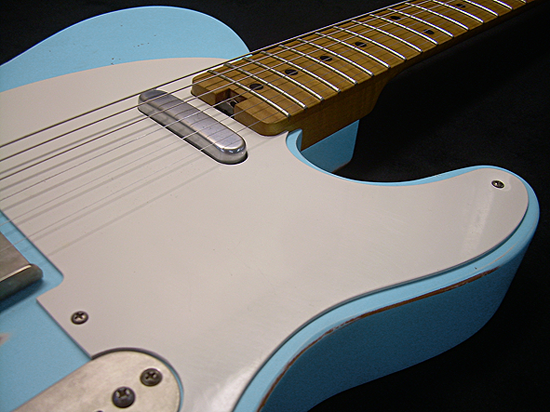 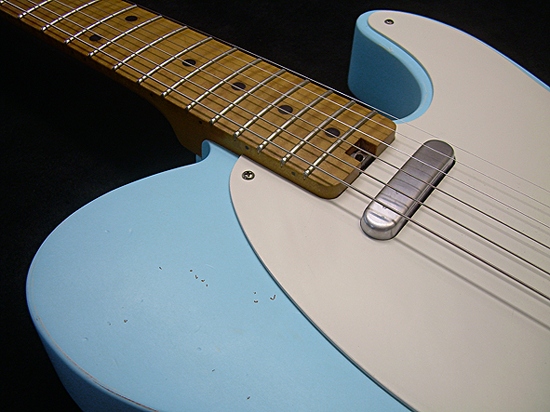 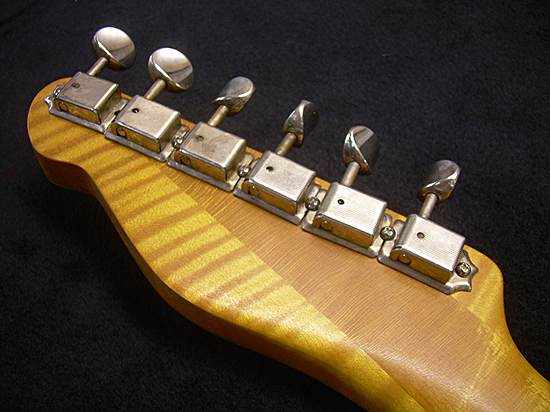 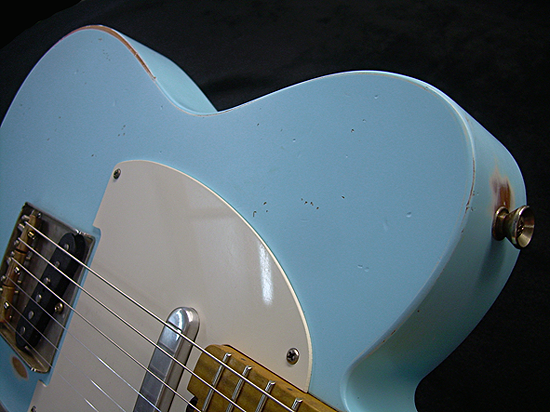 **We build these custom telecaster 100%, body, neck, paint etc. 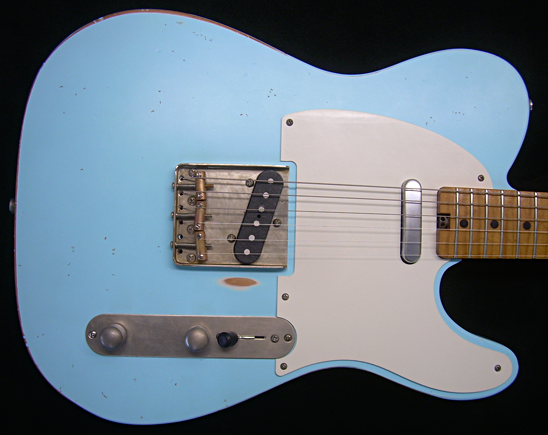 Let us build one for you!